When I was a kid... oh no, here we go again! When I was a kid in school, up until my freshman year in high school, my weight seemed to have very little positive value. It was a constant magnet for ridicule, bullying, and all of the negative things that go along with being a morbidly obese child. Then I discovered something that would change me in a very profound way. I found humor. I discovered the art of making people laugh. Never mind that it usually was at my expense, it didn't matter to me. If they were laughing, that meant they loved me, and everyone wants to be loved, right? I discovered this ability while performing in a school play my freshman year. I was cast in a bit part as a reporter for “Sewing Made Easy” Magazine. The play was about a department store that had installed a “Happiness Machine” for their customers. The happiness machine was a match maker. Stand two people in front of it and it automatically would tell you if they were compatible. When the two leads in the play were matched together by this machine, the reporters rushed in to get the scoop! I had two lines in the whole thing. “What are you going to wear? (for the wedding) The readers of Sewing Made Easy would really like to know.” The second line was delivered after the male lead rejected the female lead in front of everyone in the store, including the reporters. The second line? “I'll marry her!” and blammo--The thunderous laughter from the audience after delivering that line was something I'll never forget. It truly changed me. Every performance it was the same thing, thunderous laughter every single time. I went from being the fat kid who got picked on to being on the “cool kid” list. People that would never give the time of day before all of a sudden wanted to talk to me. It changed how people treated me. I was addicted. I can't honestly say that this is what made me want to be a stand-up comedian, because watching Louie Anderson's debut on the Tonight Show years earlier did that for me. But it was profound in it's affect. I knew that the line was only funny because I was fat. I knew that, but I didn't care. I had just found a way to make people love me despite my weight, heck because of my weight! Louie's set on Carson was full of fat jokes too, this was OK I felt. As my weight became much more of an issue it kept me from auditioning for roles in school productions. But I've always had that desire to act again. And not necessarily in a comedic role. At over 500 pounds, the parts available were slim to none. But where I am now and where I'm headed, oh boy...the possibilities are endless. Now I don't know if my schedule or future plans can really accommodate me “catching the bug” of theater. But I thought I'd give it a try. So tonight I made my way over to the Wilken Theater on the campus of Northern Oklahoma College and I auditioned for one of the lead roles in the play “Call Me Henry.” Could you imagine? Me? In a lead role? This is something that I could never really do at over 500 pounds, wouldn't have had the confidence to even audition really. But tonight was different. I was confident and did very well I thought. The director seemed pleased and I received compliments from a couple of people afterwards. Will I get the part? Who knows. If not, it was a wonderful experience! I'll tell you this, if I'm cast in this production, I'm really going to be on an extremely tight schedule for a solid month with little room for error. Maybe that discipline is what I need to whip my schedule and time management skills into shape. If I don't get the part, it might be a blessing in disguise. I'm good either way. I'll let you know how this turns out, you can count on that! A good friend of mine pointed out something very true after they read last night's post. And by the way, thank you for the wonderful comments and supportive e-mails concerning the blog. She understands my sincerity in wanting this so badly for every single morbidly obese person I see. And especially for wanting it passionately for my friends and family. But she pointed out something very true: While the physical actions required along this road are very similar for all of us. The mental part, the most important, is different and specific to each individual. Basically, we all have our own baggage to deal with, and that effects how we get our mind in the proper place for success with weight loss or anything else for that matter. In thinking about this today I realized that for some this mental change is much harder. It took me nearly twenty years to really get my mind to a place where success could happen. I was quickly running out of time. And for many of us, we don't have that long to figure this stuff out. I realize that all I can do is share some of the mental gymnastics and exercises that have helped me, and that's certainly what you find in these writings. You might immediately apply these techniques and find success, or you might still seriously struggle---because the pieces of your mental puzzle are not the same as mine. We enjoyed chicken egg rolls with sweet and sour sauce and baked french fries tonight. Sounds yummy huh? Oh it was! We baked the egg rolls too. Each one is fairly good size and only 120 calories. The fries we used weighed in at 150 calories a serving. Two egg rolls and a serving of fries equaled 390, add two tablespoons of sauce for 60 and you have a very filling (and incredibly naughty feeling) dinner for 450 calories. I tried to eat three of these egg rolls recently for 360 calories, and I just couldn't do it---way too filling. I was stuffed after two. Oh, ketchup---that's right, OK—add another 30 calories. So 480 for the entire meal. I can live with those numbers. Diana Lynn is someone that recently found my blog and she asked a question in a comment on Day 348 about my food plan. The comment didn't have an e-mail reply option, so I'll answer here. I try to eat something at least every three hours. I didn't always do this. Until about four months ago, I didn't care how I arrived at 1,500 calories...as long as I left enough for a good dinner and a late night snack I was happy. With that attitude, I would often go six or seven hours without eating. Then I was told the “Wood Burning Stove” metabolism analogy by Fitness and Life Coach Melissa Walden and it just made perfect sense. Here's an excerpt from Day 197: I've really been concentrating on spreading out my calories more evenly throughout the day, you know, to keep the fire in my “wood burning stove” burning hot. The metabolism is a tricky thing. I use to think that the metabolism was something you were just born with and completely unable to change. I thought that some of us were blessed with a really fast metabolism and some were unfortunately “blessed” with a slow metabolism. While you'll find some truth in that, a slow metabolism doesn't have to remain slow. I've learned that exercise, water consumption, and eating frequently all have the power to act like a “metabolism dial” that you can adjust up several notches. It just so happens that all of my former bad behaviors with food and lack of movement was a perfect recipe for a sluggish metabolism. Oh how much time I wasted being depressed and negative about losing weight because I had a naturally slow metabolism, and all the while my metabolism was yelling “Hey, help me help you!” and “It's called H2O, look it up.” and “If you would eat smaller portions maybe I wouldn't feel so smothered down here.” and “How long has it been since you really exercised...well that's too long.” That's right, my metabolism was a heckler that I refused to acknowledge for many years. Instead I would sit and be jealous of the naturally thin people with super-human metabolisms, looking out the window as they would run by with their workout pants and water bottle. “Crazy over-achievers,” I thought. I now pride myself on slowly becoming one of them. I don't even necessarily have to be an over-achiever, just an achiever, that'd be just fine with me. I'm fitting the description of an “achiever” everyday, one day at a time right? Diana, I eat every three hours and I'm never hungry unless it's first thing when I wake up. It forces me to make good choices throughout the day. And yes, nothing is off limits in responsible portions! I had a remote broadcast from a large nightclub again, I've written about this place before. Tonight I had to once again pick up a 10 pizza order from Dominos. I usually spend a couple of hundred calories or so on a piece, but not tonight. After discovering how low cal I can make these personal pizzas at home, I'll probably never spend another calorie on a 200+ calorie single piece of pizza, seriously. I people watch at these events. I can spot the insecure ones and the confident ones. I noticed a lady that was doing something that reminded me of the old Sean. She was constantly tugging at her shirt. She was overweight like me and very aware of how her shirt was clinging to her. I used to get made fun of for doing this very thing. I really felt for her. I could tell she was struggling with the whole scene in that place. But mainly struggling with herself. I so badly want to talk to people like this, but there's a time and place---and this wasn't one of them. I experienced the same thing at Wal-Mart today. I noticed a man who had to be well over 500, if not 600 pounds. You really can't tell too much by what someone is putting into their shopping cart, but he seemed to be making some really good choices. I wanted to share with him my story, I so did, but I just can't. I've talked about this before. It's a horrible feeling to just walk on by, I feel like I'm leaving him behind, keeping the “secret” to myself. Whispering “good luck” and hoping he comes around if he hasn't already. I know Richard Simmons's policy about not approaching people unless they reach out for him first...and I understand that. But people know Richard. People don't know me. I'd never laid eyes on this man in my life. He has zero knowledge of my transformation---so how bad would it be to hand him a card with my blog address? How bad would that be? Some might get offended, sure. And some will toss it in the trash. But at least I can feel like I tried something. And maybe every now and then it works, it inspires, it starts something again that may have died a long time ago in someone. That ability to dream of a better life free of obesity is an awesome ability. When you're completely lost, it's a hard dream to imagine. But when you see a way out, when you see that ray of light shining through—It's just amazing what can happen. I just can't help seeing my old self in the eyes of so many others. I've been doing a bunch of tough thinking lately about why some struggle so hard while others seem to be so solidly on their way. Why some say they “get it,” but continuously give in to the temptation that's trying to take this away. I think it's actually harder for people who are exceptionally smart. Let me explain: It's nearly impossible for someone to really learn something if they already believe they know. Especially when the solution has been broken down into very simple terms and easy to understand mental exercises. It can't be that easy, they might think. And so their search continues---looking for books and articles to break it down into slices that challenge their intelligence. Some people insist on complicating things. It doesn't have to be complicated. It can be easy if you accept that it can. Once you turn off the excuses. Once you accept 100% responsibility for your behaviors with food. Once you become completely self-honest about your consumption. Once you realize the importance of consistency. Once you stick to a lower level of calories. Once you commit to a real exercise schedule, once you do these things—it's almost impossible not to succeed. And yes, you have to fight. You have to bring out the fight inside and often times battle that little devil on your shoulder. If any of these vital components are not in place, it can seem very difficult. You must not forget that I too am a food addict. You must realize and remember that I too spent my entire adult life until now, struggling the same way. I was out of control. So if you read my words these days and think Oh Sean, you make it sound so easy don't you? Never forget from where I've come. And realize that if I can get to this place, then it's not impossible for you to get here too. And you don't have to understand everything to get started. I didn't. I didn't know or practice anything but the very basics on day one. You might even say I was going through the motions at first. Along the way these simple truths came out about my past failures and all of a sudden things started making sense. I started to have a better understanding of why I always struggled before and why I was struggling less now. Epiphanies started happening, they're all documented...go back and read them. So if you're trying to get everything in order in a way that makes complete sense before you start succeeding, you're complicating the process. The things that must be rock solid from day one are your commitment to fight. Your resolve must be “iron-clad.” Your desire to succeed must exceed your desire to binge. It's that importance level thing again. Set it dramatically high. And fight for your life. Defend this journey from those evil thoughts within that threaten your success along this road. And find comfort in the fact that you will learn things and have epiphanies along the way that will catapult you onto different levels of understanding. But in the beginning you must fight. It's a fight worth fighting, it really is. I was pulled over by the police tonight. I immediately tried to figure out what I did wrong and nothing was coming to me. Turns out my tag light was out. The officer gave me a warning. It was a fun experience because this same officer pulled me over four years ago for a seatbelt violation. I couldn't fit in the seatbelt back then. This wasn't the motorcycle officer from the early days of this journey, this was another that knew me and pulled me over a long time ago. He told me that he didn't recognize me at all. That felt good. And he pointed out how my license really needed updated, the picture is so not me anymore. When I get pulled over, that license picture always causes the officer to do a double take. It's not like I get pulled over all the time, but the couple of times it's happened recently---the reaction has been the same. It's a cool thing. After that “wow” reaction, Irene sent me a text needing me to bring her something she had forgotten on her way to work. So I made my way up north to her job, walked in, checked in at the security desk where I was greeted by Margie. Margie knew me well at over 500 pounds. She didn't know me at all tonight. She started talking to me like I was a complete stranger “Can I help you sir?” and I replied “I'm here to see my wife.” And that's when she just about hit the floor. “Sean, is that you? Oh my---you look amazing.” The “is that you?” question felt kind of weird. Like she was talking to the old me trapped inside this smaller body. She just kept going on and on, she was shocked. And I was thrilled by her reaction. In the early days of this blog I remember dreaming about these future situations. It's so nice that those dreams have become reality. Last night I had very little sleep and I did it with the intention of grabbing a nap during an hour and a half window in my afternoon. I'm really getting tired of writing about my sleep schedule. Sleep deprivation isn't healthy, I know that. It negatively effects the metabolism, I know that. I've 'decided' several times that I no longer will sacrifice sleep in the name of a busy schedule, and still here we are. Apparently it hasn't been an “Iron-Clad” decision, more of an “elastic” decision that can be stretched to accommodate the consequences of my schedule and my poor time management skills within, completely defeating the purpose of the decision in the first place. I just had a wonderful conversation with my mom and her sister, my aunt Kelli—about giving their weight loss journey the proper importance level in their life. When we don't give what we're doing the highest level of importance, it becomes too easy to rationalize bad choices. The same idea applies to my sleep schedule. I need to check where I set that importance level, because it's obviously too low. One of the constant struggles I've dealt with involves my morning coffee. I was never a coffee drinker before I started doing a morning radio show. Before I became hooked on the morning brew, I'd just shoot some real Coke first thing when I woke up. My addiction to Coke-a-Cola was fierce, and for mainly the same reason: caffeine. I completely stopped drinking real pop as soon as I started this journey. And I very rarely drink diet pop with the exception of a diet 7up on occasion. I drink water all day now. Many times the water is flavored with a zero calorie green tea mix that's loaded with antioxidants, whatever those are. They must fight the oxidants or something. Good deal. Anyway, I'm getting off topic. Coffee is something that I use. Way to sound like an addict Sean. This morning I limited myself to two cups with that 10 calorie a teaspoon non-dairy creamer. I still invested 60 calories in creamer. Some days are worse than others, I spent 170 calories one day just on coffee creamer. And that's my struggle. Not really that big of a deal right? Oh but wait! Did I just say “not that big of a deal” ?? That's exactly why I'll continue to enjoy my creamer calories that still seem so empty. The importance level of that struggle isn't high enough to even deserve a paragraph in these writings. Too late. The importance level we set for things isn't something we just say. It's easy to say, “my weight loss efforts will be of utmost importance from this point forward.” It's ultimately set by our actions, not our words. If you find yourself making excuses and coming up with rationalizations that make bad choices seem alright, then maybe you need to check the importance level. Check it often, because it can deplete without you realizing. How do you check it? With complete honesty, that's your dipstick. Richard Simmons tweeted this today: “There is only one way to lose weight and keep it off. And it's by being truthful with yourself about the food...” 100% self-honesty is crucial to your success. I've written about this many times because it's something that I never did before with past failed attempts. Since day one nearly a year ago, this self-honesty policy has been firmly in place, and you know what kind of results I've had. The self-honesty component is vital to the mental changes required on this road to permanent success. Make this one of the most important things you've ever done. Give it the highest important level. Get completely honest with yourself about the habits you know are holding you back---and then get ready for an almost magically transformation of mind and body. Forget “almost,” it is magical. I put in another “split shift” today. After leaving work this afternoon and grabbing that quick nap, I prepared to travel South to my hometown of Stillwater. Team Radio has a sports talk station in Stillwater and my job tonight was trying to figure out a few kinks in the on-air computer system. I really didn't plan on being there too long, maybe twenty minutes. Twenty minutes quickly turned into two and a half hours. After I left the Stillwater studio, I grabbed two 160 calorie tacos from Taco Mayo and headed for grandma's house. I had a nice visit with family, and even though it was getting crazy late, my mom and I hit the neighborhood streets for a good walk. It was so wonderful to walk with her. I'm so proud of how far she's come. From her highest weight, she's actually down over 50 pounds. Her last weigh-in gave her another 3 ½ pound loss. I can tell by her actions that she's completely with me along this road. When I left the studio I called to let everyone know I'd be coming in for a short visit right after I picked up a couple of tacos. I asked if anyone needing anything---and nobody gave me an order! My mom loves tacos. Loves them like me. And like the old me, she never needed a good reason or a feeling of hunger to enjoy tacos. Late night taco runs were always a normal thing for us Anderson's. I can't tell you how many times I've heard her say “bring me a taco!” But not tonight. Not now. Her importance level is set really high. Her calorie budget for the day was exhausted and she said “no, no I don't need anything.” And then we walked. It was a beautiful thing my friend. My mom was always the queen of complication. She has every diet book and magazine article ever written on HOW to lose weight. The different opinions and philosophies did nothing but contradict and confuse her. And now she finally realizes that a simplistic approach filled with self-honesty, a good calorie budget, exercise, and truly changing our minds and attitudes about food and exercise is all she ever needed. Rach, a fellow weight loss blogger and long time friend (find her at www.creatingthemeinside.blogspot.com )had a funny little happening today. She told me that she was in the drive thru at McDonald's getting ready to make some bad choices when suddenly my voice on a commercial came over the Oklahoma City radio station she was enjoying. She heard me and immediately changed her order to good choices. That's so cool. Way to go Rach! I don't think that was the effect the commercial intended to have on listeners (you were suppose to go spend large amounts of money at that advertiser), but seriously—that's awesome. Although I'm not sure if I want the mere sound of my voice to become the “good choices” police, but if it reminded you of the importance level of your journey, then great! I arrived back home at 12:30am and I still had a couple of hundred calories remaining for the day. I grabbed one of those 60 calorie Joseph's flax seed, oat bran, and whole wheat pitas—some tomato sauce, low-fat part skim mozzarella, and some fresh mushrooms and “blammo” a 150 calorie pizza was on! I'm getting seriously addicted to these low calorie pizzas, I mean for real! I picked up the word “Blammo” from Jack during the interview. Thanks Jack. That's the 43rd time I've used that word since we spoke. The other day I was visiting Jack Sh*t's blog and I ran across a comment that bothered me a little. It doesn't bother me really now. OK, it still does a bit or else I wouldn't be writing about it. I don't remember the exact wording, but it was something to the effect of: you (speaking to Jack) sounded like a real person, not like a character Sean has to be...” I immediately told myself this person doesn't know you and has obviously never read your blog, she doesn't understand what she's saying. So just so it's clear to anyone new to these pages: I'm not playing a character. I'm me. I'm a real person. I'm not perfect and I'm definitely not playing a “character.” She was really just trying to make Jack feel better because Jack said he thought he sounded like a doofus, considering her intentions...I'm good with it all. And Jack, you seriously do not sound like a doofus. You sound like a real person. A real honest, intelligent, and super talented person. I'll admit, there may have been some bad acting on my part in that fun little intro---but I was playing the part of me. A blogger friend of mine asked me a question recently. She wants to know how I deal with the urge to binge. That urge doesn't happen these days, but early on---Oh my, it was an issue at times. So what got me through? From the very beginning, I knew that if this time was really going to be the last, if it was really going to be different, I had to analyze my past failed attempts. One key flaw was that I never really gave this journey the importance level it deserved. When I felt that crazy unexplained urge to binge, I would always rationalize my way into feeling OK about “letting loose” a little. I would binge and then rarely ever be back on track in a solid way. Binging was no longer an acceptable thing this time. When those crazy thoughts would come---I would have to be honest enough with myself to recognize the danger threatening my journey. It's a real war inside the brain. But I had given this journey the utmost of importance in my life, and if I binge---it's going to surely be ripped away from me. I couldn't let that happen. This is too important. So I fought those crazy thoughts---I beat them down. Just tonight I commented a struggling friend and suggested this: Whenever something is threatening your journey---anything really---a thought, a circumstance, an emotion, an unexplained yearning---whatever it is---treat it like it's an intruder trying to kidnap one of your kids. Treat it like it's someone trying to kill you. If either one of those situations were happening, you would fight to the death to defend your family and yourself. Make your journey that important. Because it really is. You have to be strict with yourself. A gradual decline in your resolve can eat away at your journey slowly---with equally deadly consequences. Defend it with everything. Don't let anything steal this away from you. Here's an excerpt from Day 24: My level of strictness is equal to my desire to be successful on this mission. I want it and I want it bad, and I know myself better than anyone, I know that if I give myself an inch, I'll eat the whole thing. I feel like this is training for a healthier lifestyle. I'm training myself to understand food better, to discover flavors, to understand proper portion amounts, to really better understand exercise and nutrition benefits, I'm in training for a healthier, longer, more satisfying life. And I have to do it on the straight and narrow. When I put my head on that pillow I have to feel good about my calorie and exercise performance. And when you feel good about what you're doing, your confidence goes way up, your results start to add up, and you'll never be kept up by guilt. Guilt makes us feel bad about ourselves and that's when we're the most vulnerable to temptation, and I understand how that can snowball into a complete crash. I'm keeping it between the lines. The only acceptable level of binge control is complete prevention. Fight for your success. Fight hard and soon it's not a fight anymore. Those crazy urges go away because they know that you'll stand up for yourself against them. Tricky, because the enemy you're fighting is the old you. Thank you for all the well wishes and prayers for Courtney. She's feeling much better and continues to take her medication. She'll be back in school in the morning. After dinner tonight, Courtney had a math tutoring class at the high school. Didn't we just talk about math recently? Courtney has aced every math class so far, I'm so proud of her! But she's done it through hard work and consistent effort in learning. She'll make tutoring a twice a week requirement if she needs it to fully understand the work. Irene and I headed off for the YMCA for some weight training and a friendly little game of racquetball. 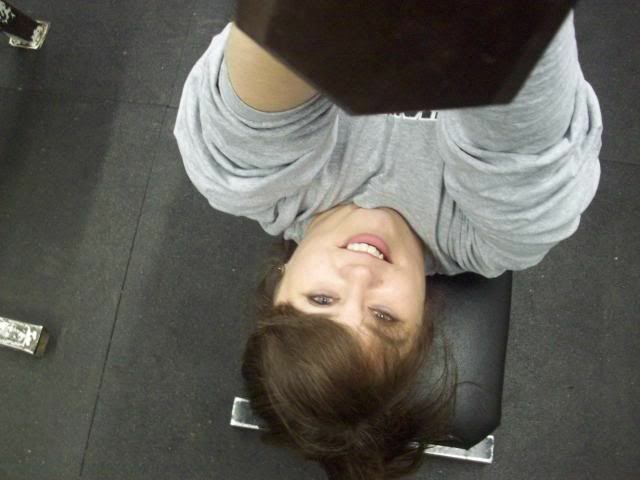 We took along the camera for some pictures in the weight room. We're both sore now. Smile through it baby! She may be stronger than me! Good form baby, good form! 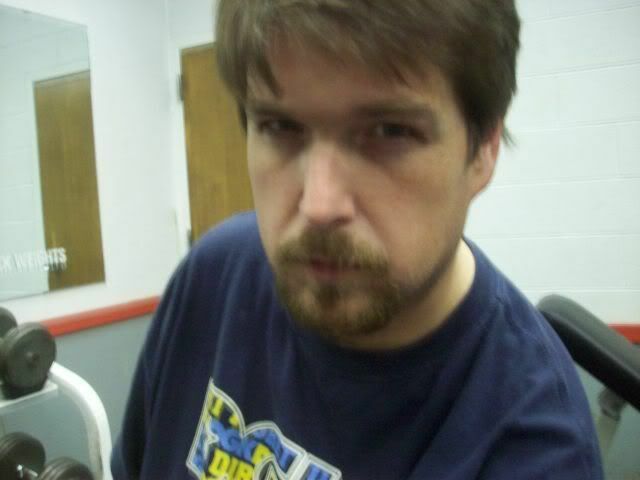 I always get this look when I'm lifting...fifteen pounds. Oh, be careful baby! So beautiful...very nice. When I was a kid I use to dream of being a meteorologist. I was completely fascinated by weather and the television weather coverage on stormy Oklahoma days and nights. I was born and raised right in the middle of tornado alley. One of my most vivid childhood memories happened at four years old. It involved my grandparents, mom, and aunt all jumping in the car in the middle of a hail storm with the tornado sirens blasting. A vehicle is the last place you really want to be during a tornado warning, but we were headed for shelter with screams and tears and my grandpa instructing “everybody shut up and calm down.” If he was scared, he certainly didn't show it. 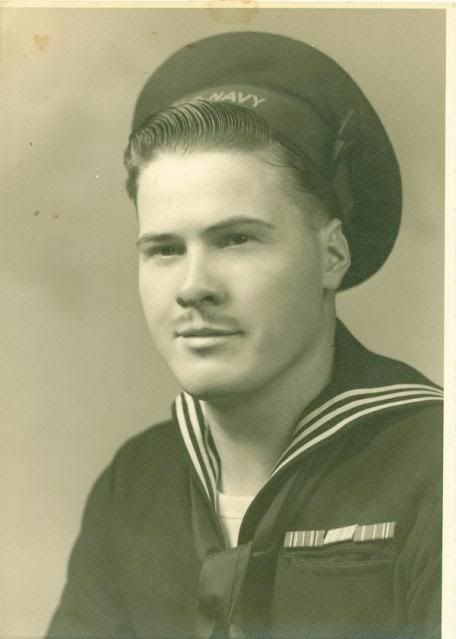 He was a man that served in World War Two on a battleship in the middle of the Pacific Ocean. He had to live and survive kamikaze pilots and fierce close range gun battles. It was going to take more than a tornado to shake him. Nothing was going to stop him from getting his family to a proper shelter. He was completely focused. This memory was burned in my brain at four and led to a healthy fascination with weather. In my pre-teen years I read every book on tornadoes and hail stones, I was completely hooked. Then at around the age of 13, somebody told me that becoming a meteorologist was really hard and involved a bunch of super complicated math. Hard? Really? I was immediately deflated and heart broken. I hated math, always struggled with it, feared it really. If math was standing in the way of my dream career as a TV meteorologist, I'd pick something else to obsess over. I immediately gave up that dream because somebody told me it was hard to accomplish. And I completely believed it. My entire life I've heard that losing weight was hard. Often times the thought of it being so hard would leave me heartbroken and deflated, completely hopeless. I believed it. Many people believe it. Losing weight is hard, everybody says it, it must be true! Whenever something became hard to do, I would simply not do it anymore. It was much easier to pretend like I didn't care and eat whatever and how much ever I wanted. Finally the day came in my life when I had to face my weight problem or give up and let it eventually kill me and my family. I had to get focused. I had to get us to shelter. I had to change the way I thought about losing weight. 346 days ago I knew that I had to get over this perception of losing weight being hard. I had to simplify the process. I had to make it easy. I had to believe it could be easy. If I made it complicated, we were doomed. Yep, totally gone. Isn't that cute? Could you see where I was so desperately trying to go with all that? I'll give you the quick rundown for Wednesday: Courtney had to go to the doctor last evening with flu-like symptoms. Irene took her as I went back to work for weather coverage. It completely changed our dinner plans, our workout plans, and my blog reading and writing plans. But sometimes we have to adjust on the fly. We have to be flexible enough to bend without breaking. Courtney is going to be alright. She's on antibiotics and bed rest. It's not swine flu, although she had all the signs! Thank goodness! The first Daily Diary of a Winning Loser audio blogger interview is posted and ready for your listening pleasure. Just click play and brace yourself for Jack Sh*t Gettin' Fit! (If you haven't already—find his blog at www.jackfit.blogspot.com ) Jack was very interesting to talk to, very relaxed and he sounded nothing like I imagined. Talking with him and the resulting interview really gave me a closer understanding of this blogger I follow so faithfully. He's very private and mysterious in many ways, and at the same time very honest and real, just one of us. His anonymity is extremely important to him, and I respect that 100%. His humor is like the holiday goodies you enjoy before opening the big gifts. The big gifts being his sincerely written personal post of struggle, triumph, and perseverance. His writing talent and discipline is amazing. And no matter what kind of mood I'm in, a wonderfully written post from Jack can break through and often make me laugh out loud, lifting whatever is weighing me down. Master Jack, wonderful interview my friend. I really thought I had lost you with that last question, but you handled it in pure Jack Sh*t fashion. Thank you sincerely. I've been extremely busy today and haven't had much time to read or comment blogs. I always feel horrible when I don't. I'm planning on devoting some time tomorrow afternoon to catching up on many of my favorites. Your support of my journey through reading and commenting my blog has been an amazing difference maker in my life. I may not know you personally, but through reading and following your blog, and realizing all we have in common along this road to better health, I seriously consider you a friend. When I say “my friend” this and “my friend” that-- within these pages, I sincerely mean those words. As many of my friends know, one of my biggest challenges and the biggest nemesis to my metabolism is time management. Things still get done when I fail to manage my time properly. I most always get in my workout and I always write a post no matter what, but often at the expense of sleep, and that negatively effects my metabolism. The solution is strict time management. It's a skill that I've never used before—and I'm really trying to learn how. We enjoyed an amazing meal tonight. Small pork chops prepared without any added fat, plus green beans and scalloped potatoes. Irene prepared the potatoes without the butter/margarine or milk the recipe suggested. With a variety of spices, those added calories were never missed in the flavor department. They came out completely delicious! We have a food scale for accurate measuring of meat weights. Four ounces of this meat came in at 180 calories, the potatoes with reduced numbers, only 110, and the green beans only 20. A completely satisfying meal for 310 calories? Really? Yes. I was so impressed, I celebrated with a 110 calorie ice cream bar. This isn't “dieting,” this is living my friend. We enjoyed a wonderful workout together at the YMCA tonight. You know how I've talked about my struggles in the weight room? Well, Irene and Courtney decided to join me for some upper body lifting before our regular cardio tonight. They want the fat burning effects of low weight-high reps and their support in that place is really going to help me stay focused on the training. 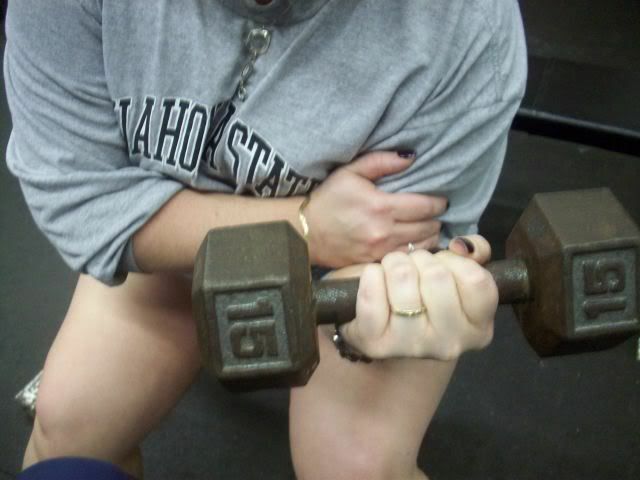 We should have taken a picture of the three of us doing the dumbbell lifts simultaneously. It's funny, I still feel like I'm feeling my way through with the weights, but they were looking to me for guidance. I really had to “act as if” I knew what I was doing. Safety is my number one concern in the weight room, and that's exactly what I promoted tonight. When you're lifting, it can be so easy to injure yourself---and nobody wants to be out of commission simply because our impatient yearning for results pushed us too far, too fast. I'm focusing on applying my “consistent” philosophy to weight training---the results will be mind blowing in time, I trust that. My lovely wife put together a wonderful post on her blog today ( www.livinlarge09.blogspot.com ) titled “See The Signs.” I was very busy when I first read her words and then I mistakenly assumed she found a poem on-line to go with her post. I was in a busy-hurry and completely skipped the poem. When she told me of her poem tonight, I felt so horrible that I didn't take time to read her original work. Huh, let me see if I can turn this around... “Uh sweety, the fact that I assumed you had found an inspirational poem on the internet, probably written by some famous poet, that's a compliment to you!” Hey, after twenty years of marriage, I'm good! She's the one that came up with this original poem---and it was just incredible. She has some amazing talent within her. I later commented that it's astonishing how often we get so caught up in our daily lives and schedules that we can completely look right past the best parts. There must be a kitchen utensil that makes separating eggs easier. This morning when my first attempt ended with the yolk splashing down into the pan, I simply gave in and tossed another on top. I could have had eight egg whites for the amount of calories in two whole large eggs. And I would have stopped at four egg whites and that would have been easier on my calorie budget. It really wasn't that big of a deal. I scrambled them up and rolled them in a Flat Out whole wheat flat bread with a quarter ounce of mozzarella. It was a good breakfast, even if it wasn't the healthiest. We must purchase some more steel cut oats tomorrow. I'm a huge believer in the weight loss and health benefits of steel cut oats, apparently not big enough to keep them in the cupboard and invest the time it takes to cook them, but a believer none the less. I've certainly never pretended to be a perfect eater. I eat what I like and never what I don't. My entire weight loss journey has proven that there isn't a set list of foods you must eat to lose weight. The list of foods I've enjoyed in the last 344 days is long and dirty, no need to re-visit the list right now, trust me-they're all delicious. Many of my good choices go completely against the grain of conventional weight loss wisdom. Like I've said before, it's not about the food, it's the portions. Had I forced myself from the start to eat a bunch of foods I hated or otherwise wouldn't enjoy, just for the sake of losing weight, I wouldn't be sitting here over 200 pounds lighter and on Day 344. It would have ended quickly in a blaze of double cheeseburgers and ice cream. Today was a busy day at the studio. After my regular responsibilities were handled, I produced a promotional announcement for my upcoming interview with weight loss blogger Jack Sh*t. The promo is currently loaded into the player on the upper left hand side of this page. I urge you to give it a listen and then get ready, because Tuesday night at 10pm central, 8pm in the west, 11pm on the east coast, 5pm Wednesday in New Zealand, 4am Wednesday morning in the UK, and 3pm Wednesday in Sydney, Australia---it shall be released to the world! (insert pretend evil laugh here) Don't miss your opportunity to hear from the man known as Jack Sh*t. You just might be surprised at some of the things you'll learn! I said you might be, yeah, I'm not guaranteeing anything. But I guarantee it will be interesting. I'll be sure to leave it up for a little while so everyone that desires gets a chance to listen. We have officially flipped over these “Joseph's” brand flax seed-oat bran-and stone ground whole wheat pitas. I've had probably five personal pizzas in the last three days. OK, six actually. We just love them! And when you realize what a fantastic calorie value they are, they're completely irresistible. A big hot melty cheese pizza for 150 calories? A breakfast pizza for 175? A veggie pizza for 170? For dinner we used 93/7 lean ground beef, grilled mushrooms, bell peppers, onions and of course low-fat part skim mozzarella. 220 calories for an extremely filling, delicious, and satisfying meal is just amazing. I talked with Amber tonight. She's doing fantastic and wanted me to let you know that she'll be posting again real soon. She's been really busy with the start of school and through it all she's been doing excellent on her calorie budget! I'm proud of her. She was just finishing up getting everything out of the boxes and decorating her dorm room. I also chatted with my mom tonight. She's doing fantastic, reporting that she just finished another mile and a third walk. I just love it that so many of my loved ones are taking charge and really making major breakthroughs along this road. It's the best. It's really strange, in the last few days I've communicated with three different weight loss friends who have experienced depressing weigh-ins that showed ridiculous gains, some happening in less than a twenty-four hour period. We're all intelligent enough to agree that it would be almost impossible to really gain six pounds of fat in twenty-four hours. Other factors are at play. Water weight for sure, and for one friend, a reaction to her medication. I'm certainly not an expert, so I can't technically explain why these things happen, but I can tell you how to keep them from affecting you. Stop weighing daily. I have a good friend that does weigh daily and she says it works for her, and that it sets a positive tone for her day regardless. If she's lost, she's thrilled. If she's gained, she's determined and strict. I guess if you can stay positive about it no matter the number, then sure, whatever you want to do. But if you allow it to wreck your emotions when something like this happens, then it's clearly causing you unnecessary difficulty along this road. Why would we choose to make this harder? What's the hurry? Why the need for sudden and instant results? If you're honestly making the changes necessary with food, exercise, and mind---then the results will come. Liberate yourself from the control you've allowed the scales to have on you. You're still going to have normal weight fluctuations, but think about it---not if you don't see them! I visited Fitcetera's blog today and found the most wonderful post. You can find her at www.katschisfitcetera.blogspot.com She talks about how this becomes easy and how she only weighs once a month. ONCE A MONTH! Awesome. She sent me an e-mail today that explained so perfectly why: I am a reformed scale junkie. That thing drove me nuts (it's a short drive) I can't tell you how many times I've allowed that number on a scale to derail past weight loss efforts. It's almost heartbreaking. I'm sure you understand. For the very first time in my life (I'm 49) this has FINALLY become easy. Finally. I've been doing this for at least 30 years and you're right ... it is "sweet to relax and allow it to flow.” Her attitude is the best. If you haven't already, go back a day and read the text of my article titled “How Long Is This Going To Take?” It's in the blog from yesterday and it might help you if you're a naturally impatient person like me. Yes, I'm impatient too! BUT—In analyzing why all of my former weight loss attempts failed—this is one of the big reasons why. Impatience. That “I want results now” attitude is a killer. If you focus on getting your food intake under control, exercise regularly, and really get super honest with yourself about all of the excuses and rationalizations that have held you back, then results will happen! Forget about the scale long enough for the fluctuations to level out and a real honest weight to show. The scale shouldn't be your enemy, it should be that friend you occasionally visit, just to see how they're doing. Fitcetera weighs once a month and she's got an easy button because of it and her wonderful attitude. Where's your easy button? It's certainly not on those blasted scales. I hope you check out her very popular blog if you haven't already. We could all gain some inspiration from her incredible attitude and approach. Today has been wonderful. Good food, good exercise, good friends, and a confident feeling of unstoppable optimism. It wasn't always like this. But once I stopped trying to make it difficult, once I stopped being my own worst enemy, once I decided to make it as simple as it can be...it all got easier, and quickly. We're conditioned our whole life to think that losing weight is hard. We automatically assume that it has to be hard. It will be whatever you make it. You can complicate the process until you feel defeated and completely done. Or you can decide to simplify the process and rid your road of self-imposed walls and speed-bumps. Thank you for the wonderful support and the comments on yesterday's post. 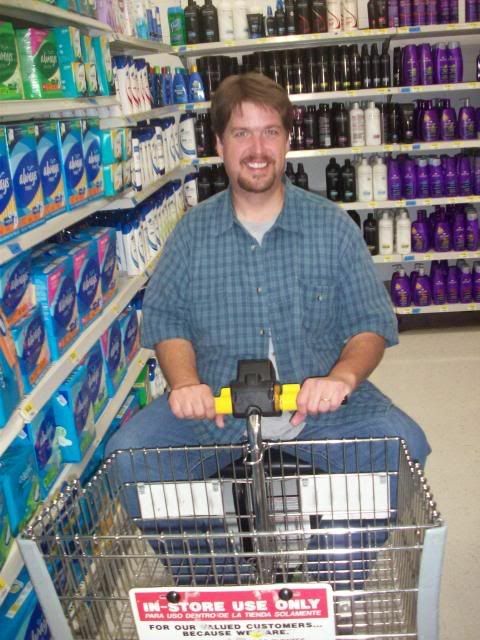 After twenty years of marriage and now having two teenage daughters, I'm certainly no stranger to that isle at Wal-Mart. The original picture found us actually purchasing some of those things, the “in-progress” was just trying to take the picture in the same spot. It's amazing how we can be so critical of ourselves no matter the success we've achieved. In looking at the “in-progress” picture, I couldn't help but mention to Irene how “that shirt makes me look heavier, I should have put on something different for the shot.” And it is a little big on me, but I've always tried to wear things that were baggy in an effort to cover up my weight. Funny that now it actually takes away a little from my transformation. I must wear things that fit right! Some habits are harder to break than others. I hope you have a chance to click play on the audio player today. The Dominos Pizza Chocolate Lava Cake commercial is gone, replaced with a personalized message from me. Kind of an official introduction to this wonderful addition on the blog. (Myspace readers—I didn't put an audio player on the myspace version. You'll have to come over to the “global” version at www.losingweighteveryday.blogspot.com and by the way, myspace security will not let you just click that link, you'll have to type it into your browser, then bookmark it! I promise it will be worth the trouble) Like I said in the audio, I plan on using that player to interview bloggers and other special guest. The interviews will be fun, but mostly it'll be something different where I can occasionally speak on a certain subject or just be goofy. I love having it! I can't thank Gayle Williams enough for her hard work on this new feature. And thanks to Anson Williams (no relation to Gayle) for allowing me to use the studios of Team Radio to produce these audio features. I got up early and had breakfast with Irene after she arrived home from another twelve hour shift. She's just not able to post everyday on her blog because of this crazy schedule, but she will often enough. And she's doing fantastic by the way! For breakfast I prepared another pizza. I know, I'm getting pizza crazy these days! But I just can't get over how filling and low calorie it can be! I used a different crust, this time it was Joseph's Flax Seed-Oat Bran-and Whole Wheat Pita. Each one has only 60 calories and they crisp up better than the Flat-Out flatbread I used last night. I had four egg whites, scrambled, an ounce of mozzarella, and tomato sauce plus the pita---all for only 175 calories. And I was full before it was gone. So much so, I recalculated the calories just to be sure. It sure felt like more than 175 calories worth of fullness. Irene and I had breakfast and coffee and a wonderful conversation before she retired to the bedroom, it was nice. bbubblyb asked via a comment what kind hot dog rolls I used for those “Pizza Dogs” we prepared recently. The answer? Just your basic Wonder brand hot dog buns---110 calories each. Even the generic store brand of hot dog buns have the same calories—110. I'm happy your family loved them and I hope you found the 40 calorie hot dogs I used. I hope they're available where you live! I enjoyed a killer workout tonight without ever leaving the house. That jump rope is turning out to be a very wise investment. I did 200 jumps. That may not sound like a bunch, but I promise you, I feel it like crazy. I was sweating heavily and my heart rate was on fire, it is a great workout. I can't do them all at one time, in one stretch—I'm not that good. But I can get through ten without messing up usually. Then I just do 20 sets. I'm also sore from the weight training yesterday. But it's a good sore, a hey this is working kind of sore. We live in an instant society. Everything happens now. When something takes a little longer we get impatient. Surely there’s a way to make it go faster! When this impatient attitude is applied to weight loss, many people turn to diet pills or “miracle” products that promise quick results. I’ve done it before too! But I’ve learned along my own weight loss journey that there’s just no substitute for eating in a responsible way and exercising. Oh, you might get some temporary results with the latest fad diet, but none of us want temporary. We want fast and permanent results, a real solid change. And those come with consistent effort, a responsible diet and exercise plan, and the willingness to learn new habits. Losing weight isn’t an instant thing, it takes patience and consistency. The results may not be now, but the results will come. Again, how long are we talking? At over 500 pounds it was very easy for me to get discouraged about the answer to that question. I allowed my impatience to ruin many weight loss attempts because I wanted the results now, and if we’re not getting what we want we get frustrated, and when we’re frustrated it makes it unnecessarily difficult to stay focused. But what I’ve learned in the past eleven months has proven to me that time doesn’t matter. If you allow yourself to get discouraged about the task at hand and the time it will take to accomplish your goal, then you’re putting your focus in the wrong place. Forget about time and just start making the changes you know must be made. Before you know it you’ll have made amazing strides toward your goal in surprisingly little time. Because guess what? Time doesn’t care if you do this or not. Time will keep moving with or without you. So how long is this going to take? As long as it needs. Because this isn’t something you’re doing for a couple of months. The changes in your mind and habits are changes that will be with you the rest of your life, these kind of changes are exactly what gives permanent results. So how do we forget about time and still get results in a timely manner? One word: Consistency. I’ve had a couple of people tell me that losing 201 pounds in eleven months is way too fast. Really? I’m eating a solid fifteen hundred calories everyday and exercising on a regular schedule. I’m consistent. My results may seem too fast to some, but those around me know exactly why they’ve come so fast. It’s consistency. In the past I would do well three days then bad for four. Pick it up on Monday and do well until Friday, then eat like a mad man on the weekend. This inconsistency severely crippled my results and it seemed like it was taking forever to get anywhere. If you would have asked how I was doing during one of those failed attempts, I would have replied “doing great, it’s a slow process, but I’m getting there.” It wasn’t until I became completely honest about my consistency issues that I was able to realize such dramatic results in so little time. Forget about time and be consistent in your efforts to eat responsibly, exercise, and honestly change your mind and habits with these activities and like magic, you’ll also enjoy the most amazing transformation of mind, body, and health--in hardly anytime at all. I really look forward to speaking again at another “Lose To Win” Seminar coming real soon. I wish you could be here! The hospital has just been incredible with their support of my efforts. It was really a magical timing thing for them to introduce this program right in the middle of the biggest transformation of my life. Being a part of it has been a real blessing. I run into people all the time that were a part of the program. Some have struggled and some have continued their weight loss success with wonderful results. 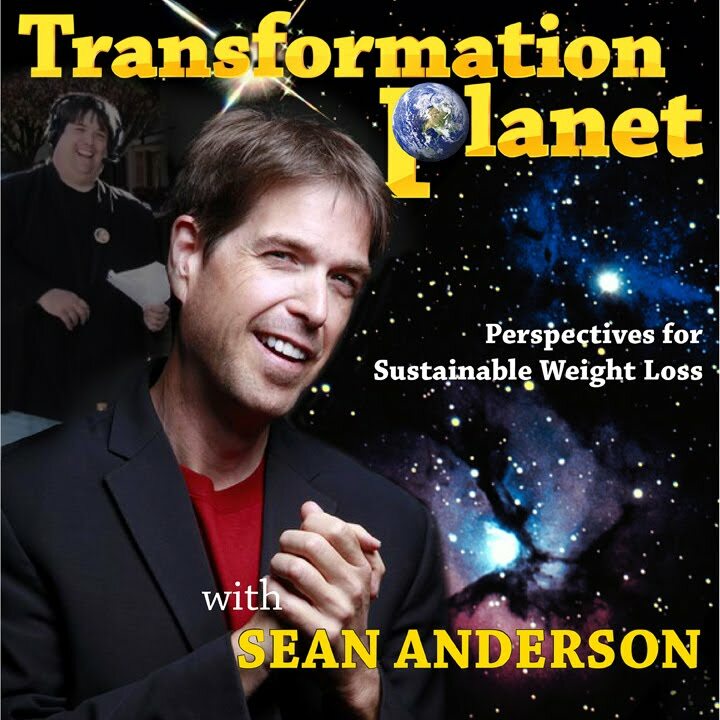 The program really gave me a clear vision of what I want to become in the world of motivational speaking in regards to weight loss. It is without a doubt my future and I'm excited about the prospects! I have to say that last night's blog was a real tough one indeed. If I follow your blog, then you're worthy of that award. If I don't follow your blog, that just means I haven't found you. Picking 15 was too tough on me mentally. Someone suggested that I should award more, considering that I received a few of these awards---another 15 each. Let's just leave it like this: If you support me and I support you, then let's just be confident that we both think highly of each others blog. I hope you'll accept that. It just occurred to me that maybe I'm taking this blog award stuff way too seriously. You thinking the same thing? OK---let's move on to some fun stuff. Last night I talked about wanting a single play mp3 player along the left hand side of my page, but I didn't have the computer know how to get it done. I also mentioned my friend and colleague Gayle Williams and how she could probably help me out here. Well, look what we have in the top left hand corner. Gayle is absolutely magic! And her partner in awesomeness, Anne, is also a wizard at this stuff. I had Gayle load a recent radio commercial as a test run. It's a Dominos Pizza local radio commercial that I had to write and produce recently. The spot features the voices of me, Gayle, and the announcer at the end is Ryan Diamond. If you haven't already, click play. If you're a chocolate cake lover you might want to think twice about listening to this one. You see, I'm a radio guy. And if a restaurant wants me to do a commercial for them, I do. It's my job. It does sound funny to some that know me around this region—knowing how much weight I've lost, then hearing me gush about the deliciousness of a chocolate lava crunch cake, or a new pizza, or a bread bowl pasta, it must sound contradictory. I couldn't help but write this commercial with a comedic twist on calories. Just in case you're curious: One Chocolate Lava Crunch Cake checks in at 350 calories, turns out they're not calorie free. Maybe half one with somebody for 175 calories if you just can't resist. That's what I would do if I really wanted one. Long before I started losing weight, I endorsed an Italian restaurant on my radio show. Every morning at a set time I would talk live about their wonderful food and service. The owner of the restaurant wanted me to really be sincere about what I was saying on air, so he offered to feed my family of four anytime, free of charge. Free Italian food anytime? Yes. And yes, we took advantage once or twice a week for several months. And it never failed, every time we would visit---he always prepared more than we ordered, plenty of other menu items, so I could try them and then talk about them on air. I'm so glad that arrangement doesn't exist anymore. I would certainly handle it differently now, but still it might be hard to convince a proud Italian chef that I loved the food, but I just couldn't fit everything in my calorie budget, sorry! Speaking of Italian food, Irene fixed an amazing spaghetti dish for dinner before she jetted off to work. It was prepared with 93/7 lean ground beef, onions, green peppers, mushrooms, and a tomato sauce. I enjoyed a normal portion for a surprisingly low 350 calories. We decided against anything to go with the dish, who needs the extra calories of bread or corn on the side? This dish had meat, veggies, and pasta---it was incredible. After dinner, Irene flew to work, Courtney had Friday night plans with friends, and I had a date with the weight room and fitness center at the YMCA. I took a three pronged approach to my workout tonight. I walked/jogged a mile on the treadmill. I tore up the racquetball court for a really nice sweat. And then I headed downstairs for some upper body weight training. 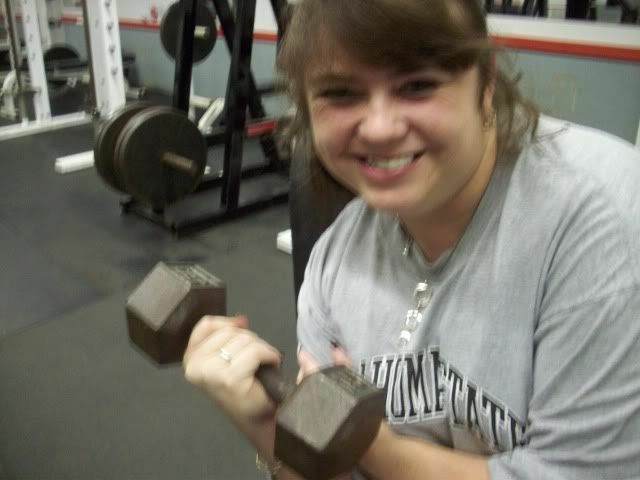 I'm embarrassingly weak in the weight room. I think that's one of the reasons that my weight training has been mostly talk in the past. As you know, I completely understand the importance of consistency in obtaining wonderful results. I have no clue why I haven't put that consistency to work for me in the weight room. I can do cardio all day and night long, but for some reason I've allowed weight training to be a completely different animal. Tonight was a very nice turn in the right direction. By the way, I ran into Scott Hayes and his lovely wife at the Y. They were both on the treadmills, both taking charge of their weight loss missions. They're good people for sure. My wonderful wife Irene posted a picture of me last night on her blog that I would rather forget. It's got to be one of my worst “before” shots. I may have posted this pic before, or not, can't remember...it is just horrible. It was taken a few years ago when I was suffering from horrible sciatic nerve pain. 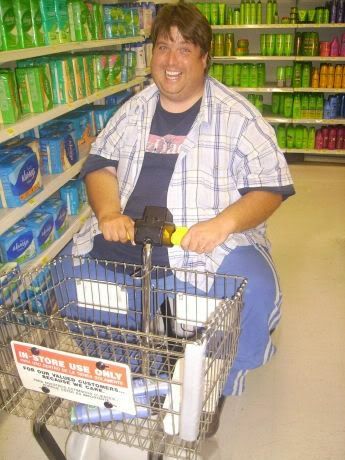 It was so hard to walk that I decided to do something I had never done before: I used the electric scooter at Wal-Mart. Amber was with me, camera in hand, and she kept making me laugh. I'm smiling from ear to ear in the shot, but believe me—I was in pain, that messed up very different nerve kind of pain. I've posted that shot below even though it makes me sick. BUT--- I decided if I was going to post this shot, then I wanted to re-create the picture, 204 pounds lighter, this evening. I called Courtney after my workout and asked her to join me on this “in-progress” picture mission. She accepted and we discussed our strategy. Wal-Mart doesn't necessarily favor people taking pictures of any kind inside their stores, we would have to be careful---not to get anyone else or any prices in the shot---and we had to be quick. Then it hit me. I honestly do not need one of these carts in the least, but there are many who do. The thought of someone not having one when they needed it, just because we were trying to shoot an “in-progress” picture would be completely inconsiderate and unacceptable. So we decided that we would only go through with the mission if they had an adequate supply of scooters and even then we would hurry with this job. Well, they had six of them charged and ready for use, so we were on! Nobody questioned me about needing one. I asked if I could use one and they said alright, very simple. We hurried back to the same isle as the “before” shot, snapped a couple---and then hurried the scooter back to the front doors. Then, we grabbed a basket and made our way into the grocery section for some water, coffee creamer, and mozzarella cheese. The nice greeter lady didn't even question why I no longer needed to ride and we were not sticking around long enough for her to get curious. The “in-progress” picture is also posted below with another big smile, this time for very different reasons. Even after dinner, I still had nearly 600 calories remaining. I killed off 150 of those calories with a low fat soft serve from McDonald's, then I returned Courtney to her friends house before heading home. 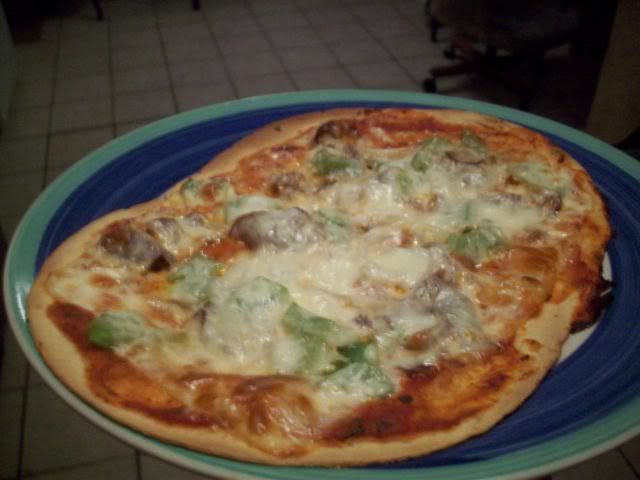 I decided to try to catch up a little on blog reading while enjoying a low calorie homemade flat-bread pizza. This tasty treat was so easy to make and it came in at a super low 230 calories for the entire thing! I used one of those 90 calorie whole wheat super thin flat-breads, some tomato sauce, some onions and green peppers, a few wafer thin slices of roast beef, and an ounce of the thin mozzarella slices. I put it all together and baked it up perfectly. The picture is below. It was awesome and for 230 calories, what's not to love? Only 230 calories in the entire thing! First of all, let me say thank you for the wonderful support after yesterday's weigh-in blog. What a fantastic network of support I have here, it's really a tremendous blessing. I had some elaborate plans for revealing my blog awards tonight and since I'm nearly computer illiterate, I failed to figure out my vision. I tried for too long and then decided that I better just list the winners. I know I'll hear “Why didn't you just call?” from Gayle in the morning. Gayle is our IT department whiz and full time production and on-air fill in personality. When I'm gone from my show or sick, it's “Gayle in The Morning,” instead of “Sean in The Morning!” I bet she could have figured out how to do exactly what I wanted, but I didn't call, maybe should have, because it's a cool idea! And I will get it figured out, more than likely with Gayle's help. The idea is simple: I want a single track MP3 player along the left hand side of my page. I'll occasionally load audio messages and then mention in the blog “be sure to check out my special audio message today.” I wanted the first to be my blog awards ceremony, complete with sound effects and an overall large auditorium feel and sound. It would have been super easy to produce, I mean—Hey, this is what I do right? When I do have one, it'll be something you have to click on---it will not automatically play. I'm looking forward to it! Gayle? You reading this? (I know she is---) I need help! I just figured out today how to add pictures along the side. I'm learning, I'm learning...slowly but surely---I'm learning! Seriously, these are not ranked in order—to prove it, I will not list my wife and daughter 1 and 2! That was not pleasant for me. There are so many that deserve this award, people I read regularly. Promise me something: If you know I read you regularly, then you know that you are special to me too, it doesn't mean anything if you're not on this list. We're all Weight Loss Superheroes! Irene prepared a wonderful low cal meal tonight of lean beef roast, roasted potatoes, and carrots! It was very well portioned and perfect. Each plate came in at 360 calories. Anytime I can have a very tasty and satisfying dinner for under 400 calories, I'm in! Irene had to go back to work tonight and Courtney and I got into the YMCA for a nice hard workout. I opted for the constant movement of the racquetball court, although I must admit---it's getting way too easy in there. I must start scheduling opponents! My weight loss success over the last eleven months has thoroughly spoiled me. Up until today I had never had a two week loss come in at under five pounds. I figured that breaking into the 290's was a given today. The celebration, the congratulations, the overwhelming feeling of accomplishment was going to be immense. I confidently walked into the specialty services building today at Ponca City Medical Center ready to receive my wonderful weigh in results. Like a lottery winner clutching their ticket at lottery headquarters just waiting for the life changing validation, it was mine. This milestone was mine for the taking today. And for whatever reason, it wasn't to be just yet. Perhaps I needed to be humbled. Maybe I was getting too confident along the way. But why this weigh-in? This wasn't a normal weigh-in, this was a milestone weigh-in! It was meant to be special. Instead it left me with mixed emotions. I was disappointed and really frustrated. But then I realized, how in the world can I be disappointed? Today I registered another loss. Three more pounds gone forever. I now weigh 301 pounds. If I could truly be even remotely disappointed in losing 204 pounds in eleven short months, then I needed some serious reality checks and maybe some therapy. It was good for me actually. I needed this today. I needed to have the thoughts and reflection that it has given me. It's a clarity that maybe I wouldn't have understood had I easily cruised into the 290's today. Maybe I needed to slow before crossing, just long enough to reflect on the road behind me, confidently look ahead at the journey in front of me, and realize all of the wonderful blessings I've been given. Yeah, today's weigh day was exactly what I needed. I waited a full two hours before sending out the mass text message, e-mail, and Twitter of the results. I wanted to discuss it with Irene and fully understand why and how I didn't get what I thought I deserved today. Turns out, I should have sent those messages immediately. The wonderful support I received from Irene and then the flood of support from my contacts list really lifted me up to meet a higher understanding of success. Melissa Walden, fitness and life coach, replied with a text: “It will happen. You're still losing. Re-adjust if you're not comfortable with the results. You know you're healthy when you have to adjust, re-adjust, again and again. That is what healthy means! A LIFETIME OF ADJUSTMENTS! Nothing stays the same!” My dad sent me an amazing text that focused on congratulating me for incredible success in such a short time. The messages of support and understanding kept coming until my in-box was full and I had to delete some to make room. It was a wonderful gift from everyone. I felt incredibly fortunate to have such a wonderful network of support. Thank you sincerely. I received a few wonderful blog awards today and I'm honored. Thank you to those that passed them along to me. I understand that I must now pass this award on to fifteen bloggers. Only fifteen? Don't ask me to do that! How am I going to leave someone out? I had planned to announce my blog awards tonight, but after filling in for an ill announcer at a four hour broadcast this evening, I'm running short on time. I need some time. I want to put some serious thought into handing out these awards. And if I'm going to have some kind of workout tonight, write this blog, and still get a good night's sleep before the 4:50am alarm---I must wait until tomorrow night to display the award on my blog and recognize fifteen others. I'm sure you understand. Besides, if I'm able to do it like I want, then it will be worth the wait---I promise! I received a wonderful phone call today from a friend that has been struggling in the worst way. He just wanted to touch base and let me know that he was back in the saddle, ready to head down this road one last time. He's shared a lot with me about where he is mentally—and he's breaking through with epiphanies that will completely set him free. I was seriously overjoyed about this call today. I'm very sincere when I say that my success is a very small part of my overall enjoyment of this journey. It's phone calls like this and e-mails from people I don't even know telling me how my story has changed them, these are my proudest and most dear accomplishments. My family and friends success is very important to me. We're going to do this, we're doing it...one more time, and this time for good. We're carefully analyzing the process, we're figuring out the weaknesses of our failed attempts, we're adjusting our mind and our actions for optimum success. This time is our time. OK---so what do I do now to grab the numbers I want at the next weigh-in and beyond? How will I adjust? My calorie budget is solid. I think I should start monitoring my sodium. I'm all about keeping things simple, but perhaps being a little more aware of my sodium consumption would be helpful. I must continue my fight against sleep deprivation through the week. I get great rest on the weekends, but through the week I'm still struggling to get enough. I've recently dropped in bed so horribly late, I'm embarrassed to admit it to you. (one night this week: 2:45am with a 4:50am alarm set--embarrassingly bad) Remember that blog where we discussed the effects of sleep deprivation on our metabolism? Maybe I should read that one again. And exercise---here we go again: I must step up my intensity. 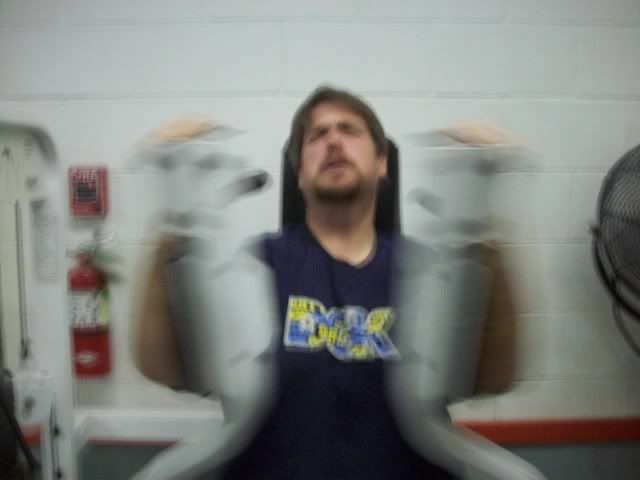 I must commit to a much more consistent weight training schedule. I mustn't allow my body to settle in and get use to what I'm doing. I must challenge myself to get the best results. They work. There, I said it. Now all you have to do is find one that works for you, right? Not so fast. They work temporarily. Oh I'm sure every single major “plan” has their long term success stories, but I would imagine it wasn't the plan that gave them the mental changes needed for those long term results. Of course the plan takes all the credit I'm sure. I'm specifically talking about the plans that sell you all the food too. I once read a blog where the author was seriously considering one of these plans because, in her words: “I don't want to have to deal with food issues, just show me exactly what to eat...” But there's the problem screaming out loud. That's why these plans don't work long term for a majority of the people paying large amounts of money. “Results not typical” are words often found at the bottom of the commercial in fine print for a reason. They know their plan isn't a long term solution. It's simply a means to drop weight now. And it works until you go back to reality, the pre-packaged “eat this” foods stop coming and you realize that you never dealt with those serious food addiction problems—and then the weight comes back naturally. Maybe next time they'll give you a discount. When I hear the phrase “you've got to find what works for you,” I sometimes become irritated by what that means for some people. Just finding something that works isn't that hard, they all work to some degree. Why don't we say “you've got to learn to eat responsibly, exercise regularly, and work extra hard at changing the way your mind works.” Instead we just want to find “something that works for us.” Something that just works isn't good enough. 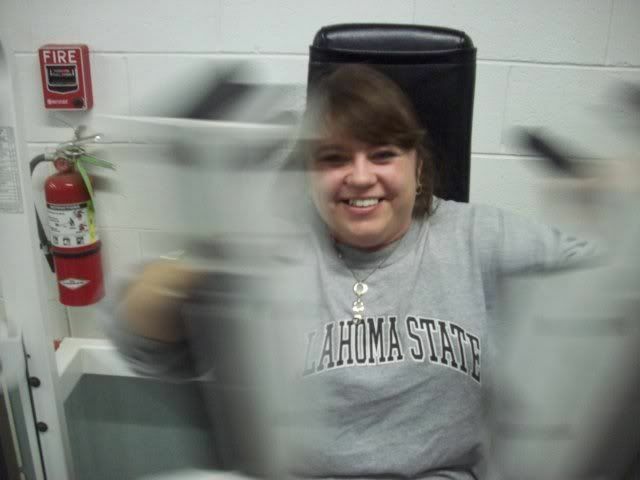 I lost 115 pounds in 2004 doing something that I knew would work, and it did. I was eating 1,500 calories a day and exercising regularly. Sounds familiar huh? Nope. Completely different mindset involved. I was going through the motions needed to lose weight without changing my mind one tiny bit. I fantasized about cutting loose the entire time---I was dreading everyday, and looking so forward to hitting a milestone goal so I could reward myself with tons of calories. As soon as my “plan” entered a family vacation it was over, and I mean over real good. I wasn't prepared, nor did I want to be, to handle eating responsibly and exercising more. 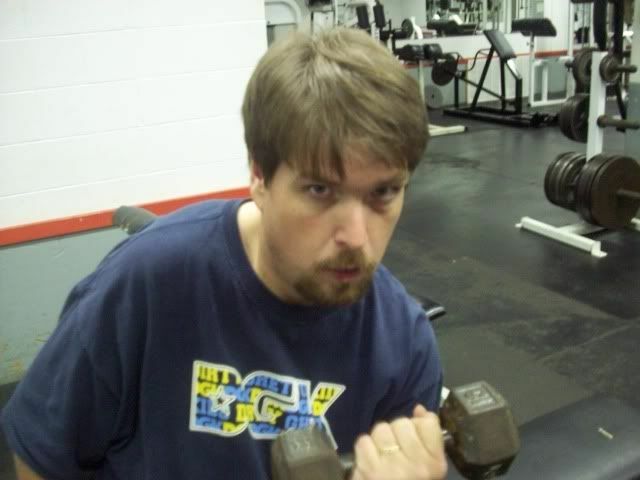 My plan in 2004 was simply a means to drop weight, nothing deeper. And I quickly gained every pound back plus five as soon as it was over. Real change is so much more rewarding and well, uh, real. And it's not beyond anyone reading this, I guarantee it. But when you start talking about these things, some people get nervous. They get uncomfortable, they feel threatened, they get scared of the changes they know they must make if they're ever going to break free once and for all. How do I know? Because I was one of those people for many years. In my younger days all you had to do was say “lifestyle change” and I would immediately get upset. Don't give me that, I know exactly how to lose weight, I'll do it when I'm good and ready. Don't take away my sense of security in food. Don't take away my blanket. Don't tell me this is something I have to do forever, I need to continue my emotional dependency on food---and your “lifestyle change” talk is threatening that world. What I've found is amazing. My fears turned out to be completely blown out of proportion. When you work hard at the mental changes, all of a sudden---it's not a depressing thought anymore. In fact, I haven't dreaded a day along this road in more than a couple hundred days. I look forward to the many changes to come and all along the way I'm still enjoying food, I'm still living life, and I'm still feeling better than ever as an adult. This is what real change feels like. Irene prepared a fantastic meal this evening. Pita Tacos. Yep, she found some whole wheat thin pitas that check in at only fifty calories each. We loaded them with some super lean ground beef, lettuce, onions, salsa, and a smear of guacamole. We discovered we didn't have any cheese and decided to just enjoy these cheese free. Guess what? We honestly didn't miss the cheese. Isn't that crazy coming from one of cheese's biggest fans? With only two ounces of super lean ground beef at eighty calories, the pita at fifty---then all the veggies---and even sour cream and guacamole---they still came in under 300 calories. It was filling, very satisfying, and super easy on the calorie budget. Irene and I just returned from another 10K. What a fantastic walk in the cool night air. This 10K was a little easier than the one last week, maybe because it was a little cooler. We once again opted for great conversation instead of iPod tunes. You can talk about a ton of stuff while walking over six miles. It was a fabulous accomplishment. Tomorrow is weigh day and will most likely be the day I drop below 300 for the first time since I was fifteen years old. It's a very special milestone indeed. I can't wait to say it, “I weigh two hundred and so and so pounds.” That's just plum crazy. I love it! It's so hard to believe that I'm doing it like this. It's such a wonderful freedom, a gift, a blessing. It's the greatest. The hills of Southwestern Oklahoma can be a brutal workout. Especially when they build an entire university campus on top of one. This time last year we were doing the exact same thing. We were moving Amber into her dorm and helping with the business of another school year. We walked all over that campus---here, there, and forget it---I'm driving over there! The difference? Last year at this time I topped the scale at over 500 pounds. 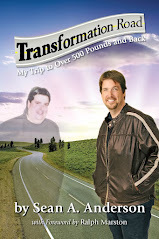 What a fantastic change losing over 200 pounds makes. I honestly can't call what we did today a workout, oh it can be when you weigh over 500 pounds, but that's not me anymore. I walked up and down hills without any trouble at all today, not one complaint, not one mention of the incline. It just wasn't an issue. Amber was very stressed today over a variety of things. We kept telling her that everything would work out and to relax. By the time all of the business and stressful situations were dealt with it was well into the afternoon. We had lunch at Taco Mayo for a couple of reasons: They're cheap in calories and price (if you make the right choices) and they're so good! I enjoyed a few beef tacos at 160 calories each, loaded with salsa and veggies, they were very filling, extremely tasty, and they brought my calorie budget up to 600 for the day. Not bad. A little while later we decided on a low-fat vanilla soft serve cone from McDonald's. These cones are listed as 150 calories on the McDonald's website. I'm thinking, prefect...I'll be at 750 for the day, exactly half of my calorie budget used with exactly half of the day over. And then it happened: The lady making the cone was obviously trying to set a record for largest cone ever made. She handed me this giant version of a low fat vanilla cone. Was she flirting with me? Was she trying to win friends? As crazy as it might sound to most people, this is one time where I didn't want more for my money. The old Sean would have felt like he had hit the soft serve jackpot, the new Sean had to be honest about the situation. This wasn't a 150 calorie cone. I counted it as 300, ate the entire thing, and was headed home this evening with 600 remaining calories for dinner and a snack later. I could have just thrown half of the ice cream away, but hey---it was an amazing value at only a dollar, I did have the calories to handle it, and after the stress and circumstances of the day---I deserved a little non-hazardous indulgence. I was once again prevented from posting today's blog before bed. This time it wasn't computer issues, it was lightning. The power kept flashing and re-booting the computer. I started completely over once, then hit the save button after each sentence, then decided that the computer really needed to be completely off during the storm. It's nearly 5:15am now. The storms are gone and I'm getting ready to head for the studio for my show. Tonight’s blog comes from the tiny town of Thomas Oklahoma. It’s the home of the Eakins, the parents of Amber’s boyfriend KL. We’re here tonight to help Amber finish the move in process at her dorm and to handle other business around campus. Before we left home for the three hour trip, Amber called to tell us that KL’s mom was cooking dinner and was a little concerned about the ingredients to be used. She was being very thoughtful about our calorie budgets. I told Amber to tell her that it doesn’t matter what she prepares, it will be good and we’ll enjoy it tremendously--not excessively! That’s the wonderful freedom of simply eating responsibly. I can eat anything. How much I eat will be determined by what it is exactly. I’ll consider the ingredients and a responsible portion---then I’ll make an educated guess on the calories. It turned out to be fairly simple. KL’s mom made the most amazing tostadas. The flat round corn tortilla was topped with ground beef, lettuce, onions, tomatoes, cheese, and a homemade tomato sauce that was simply incredible. We were able to control the amount of ingredients on each, so it wasn’t too hard to calculate 300 calories worth. I had one regular 300 calorie version and a smaller 200 calorie version with very little meat and cheese, mostly veggies and tomato sauce. It was filling and well within the calorie budget. More importantly we had a wonderful visit with KL’s parents, we always do, they’re good people. It isn’t the food, it’s the portions. I’ve lost over 200 pounds eating anything and everything, but I’ve done it with responsible portions. Portion control is key. This “anything and everything” philosophy is simply called living. I eat what I would normally eat. I eat what everyone else is eating. If my friends are wanting me to go to a restaurant with them, I’ll go. It’s not the food, it’s the portions. And that’s where good choices come into play. My choices are made after considering my calorie budget for the day. After I reach my optimum weight, my choices will be based on honest and responsible portion control. You see, calorie counting is simply a measuring stick right now. It’s a learning tool, teaching me what eating responsible portions looks like. It’s an education and one that will be with me forever. I’m so impressed with the mental breakthroughs Amber has allowed to happen over the last couple of weeks. She’s lost a bunch of weight, but it’s been a struggle for her every step of the way. I have a feeling her struggle will be less now. She’s super determined to succeed and I have no doubt, she will! I just finished writing an article for Ponca City Medical Center’s “Lose To Win” Newsletter. It should be released soon. For anyone that is a part of that program, you’ll receive yours real soon. But if you’re a regular reader from outside of this area, I’ll be happy to e-mail you a copy of the newsletter. Just drop me an e-mail to seanboy105@hotmail.com with your request. I look forward to the weekends for several reasons, for one, it's usually when I can get caught up reading my favorite blogs. Today wasn't a typical Saturday, so I've missed several. I hope to catch up tomorrow before we leave to join Amber at Southwestern. I prepared the most amazing breakfast burrito this morning. Irene purchased some whole wheat/high fiber wraps that actually cost less than the high fiber tortillas, and they're bigger and contain more fiber, a whopping 9 grams each! I scrambled three egg whites and added a half slice of American cheese, then wrapped it all up. It was a really big and filling breakfast for a measly 171 calories. The way I feel these days is simply incredible. It all starts with sleeping like a normal person, without being attached to a machine that makes sure I breathe. I'm actually returning the machine on Tuesday to the medical supply company, perhaps somebody else who really needs it might benefit. I'm very lucky that my sleep apnea was clearly because of my obesity. Some people who are thin also suffer from the condition, so it's certainly not exclusive to being morbidly obese. After being dependent on that blasted machine for so many years, I certainly know what it feels like to need it. And I no longer need it, haven't for three or four months now. The freedom of movement, the freedom of being able to sleep anywhere and not worry about having it is awesome. That's something I was afraid I would be attached to for the rest of my life, turns out---NO! Very nice. Today marks the eleven month anniversary of my efforts. I didn't think of that until we were on the way home from the concert. Almost a year and over 200 pounds later, I couldn't be happier or healthier. It's really opened up so many wonderful things. It's allowing me to really live. 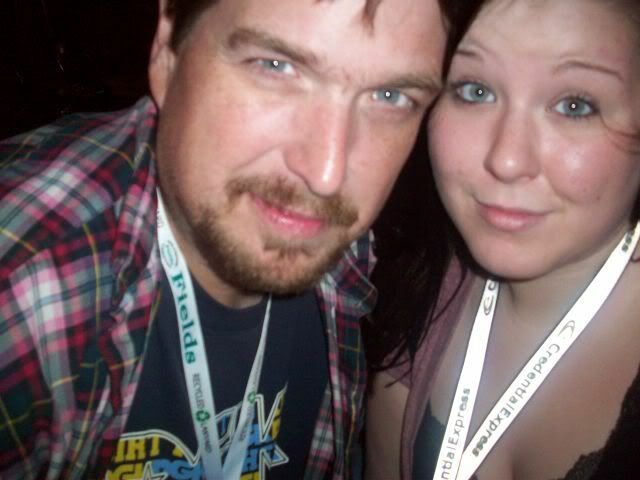 Tonight I took Courtney to a big rock and roll festival. I wasn't familiar with Candlebox, but they were easily our favorite. They sounded amazing. We were very close to the stage and we even took advantage of our “media” credentials and headed back stage. 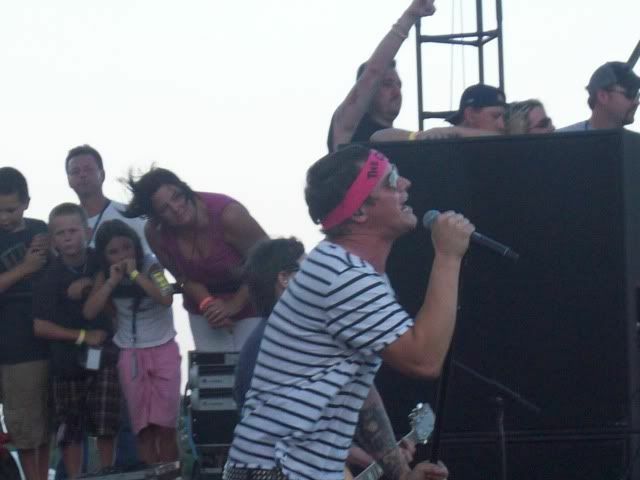 It was there we had a chance to meet and talk with Candlebox lead singer Kevin Martin. 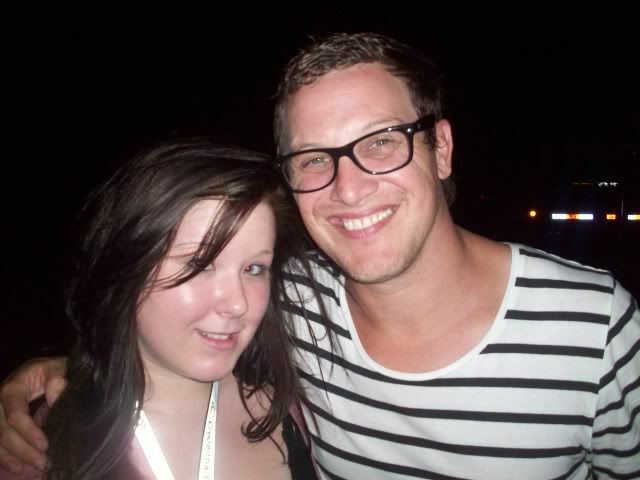 He was very nice. It was funny, on stage the guy looks like a real alternative rocker, but off stage he looks very normal, just one of us. I was so impressed with their character off stage. The lead guitarist was gathering trash, he had a big hefty bag full, and was taking it to the dumpster! Rock stars that handle their own trash---I like it! Just real down to earth people, and very easy to talk to. Impressive indeed. Courtney and I couldn't help but point out how hard this trip would have been on me at 505 pounds. The walk from the parking area down to the stage would have been torture, instead it was the easiest thing. The constant standing, the walking, and then when we did find a couple of chairs---the little, very fragile folding plastic kind---all of it would have been a challenge or flat out impossible eleven months ago. Again, it's about living! We were living free from the chains of morbid obesity tonight. It was a tremendous feeling. After the concert we were really hungry, so we stopped at a little diner not far from the concert venue and split a hamburger. It was a big 1/3 pound burger loaded with veggies and mustard. It was a good time for sure. We talked about our weight loss and the blog, and we talked about where we are headed from here. It's sometimes hard to imagine things getting better with our weight loss journey, but it most certainly is every single day.